"These past few weeks off have been much-needed for a lot of teams. A year ago, as we were headed to the inaugural Vegas Four-Wide race, we were all excited because we were going to a brand-new race track. We found out once we got there just how good of a job they did building four fantastic lanes. 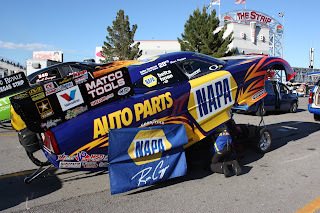 This year, leaving Gainesville, we’ve had an uncharacteristically slow start to the season for our NAPA AUTO PARTS team. We’re ninth in points, but I really feel like we’re on the verge of a win at any given time. We’ve fought some bugs here and there the first three races, and we’re still really trying to get a feel for these new DSR chassis. We’ve run both cars with our new Dodge Hellcat body and it’s showing us it’s got a lot more downforce with less drag. I feel like we left Gainesville with a lot of really good information that (crew chief Rahn Tobler is going to put to good use. Photo Credit DSR Racing PR. “I’m really looking forward to Vegas. Twice a year we get a shot at a totally unique format. I’ve won a four-wide event a couple of times and I enjoy being taken out of our element and getting thrown a little bit of a curve-ball. Plus, I just love Vegas. My first-ever nitro win was there and I haven’t been back to the Vegas winner’s circle since then. It’s been over 12 years so I’d like to end that drought this time at Vegas." 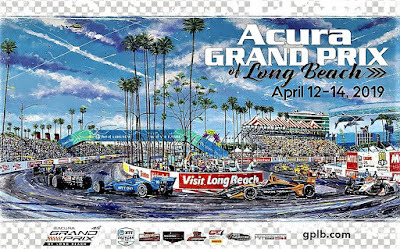 Prolific American racing artist Randy Owens has been named Official Race Artist for the 2019 Acura Grand Prix of Long Beach. As Official Race Artist, Owens has created the poster artwork for the 45th annual event, which will also grace the covers of the event program, Fan Guide, T-shirts and other race-related materials. Owens has established himself in the American racing art scene, having produced over 300 handmade serigraph editions in his realistic style -- modern and evolutionary, with color and motion as the central theme. Born in Baltimore, Md., Owens grew up in Virginia and majored in fine art at Northern Virginia Community College. He was drawn to the vibrant colors, clean form and crisp edges of serigraphy (silkscreen printmaking), and after being introduced to auto racing in 1978 began making serigraphs of motor racing subjects in his own unique style. Over the years, Owens has staged over 200 exhibitions of his work in five countries, including the Axis Galleries in Tokyo and 10-year retrospective shows at the famous l’art et l’automobile Gallery in New York City and the National Automobile Museum in Reno, NV. Owens will have a display booth at the 2019 Acura Grand Prix and will be available to sign posters for race fans throughout the weekend. 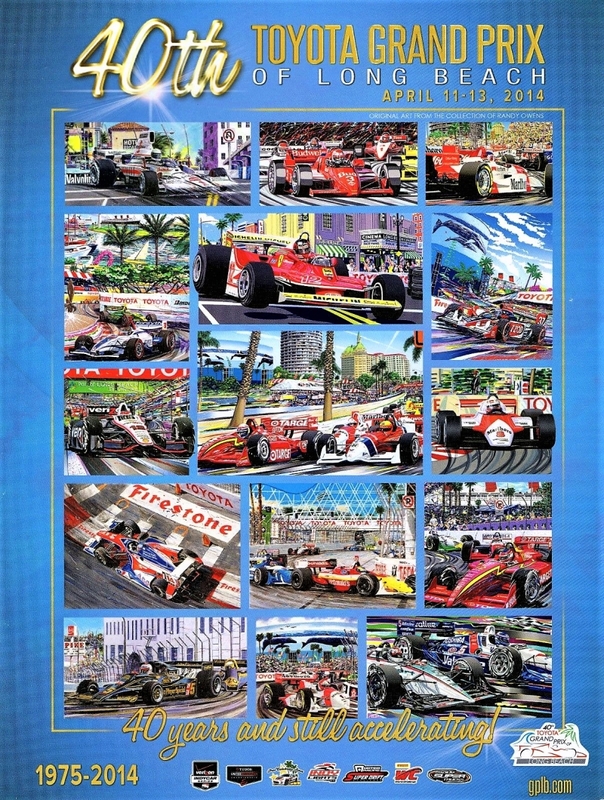 Official posters will sell for $10 at the event, as well as in the weeks prior to the event at gplb.com. The Acura Grand Prix of Long Beach will be headlined by the fourth round of the 2019 NTT IndyCar Series, as well as the BUBBA burger Sports Car Grand Prix, featuring the IMSA WeatherTech SportsCar Championship. In addition, the weekend will include the Motegi Racing Super Drift Challenge under the lights on Friday and Saturday nights; SPEED Energy Stadium Super Trucks, the powerful sports cars of the Pirelli GT4 America and the new-for-2019 Historic IMSA GTO Challenge. There will also be concerts, free to race ticket holders, on Friday and Saturday nights. Fans can select and pay for their Grand Prix seats, parking and paddock passes online at gplb.com. Ticket orders can also be placed by calling the toll-free ticket hotline, (888) 827-7333. 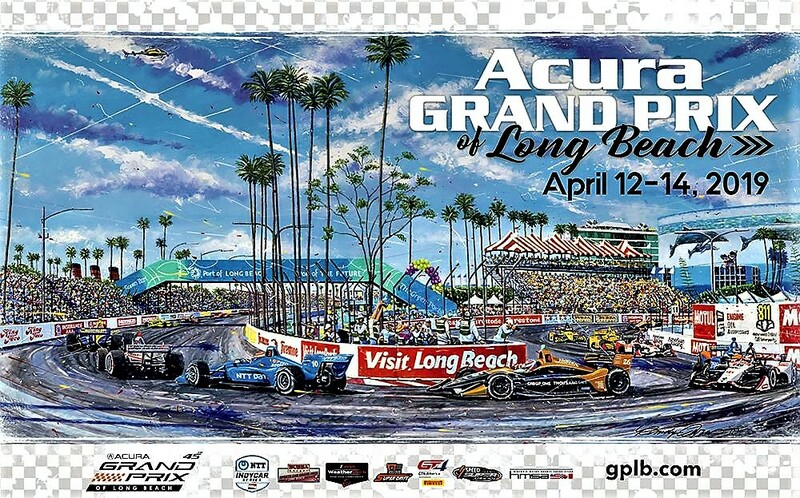 Also featured on gplb.com is the latest Acura Grand Prix of Long Beach news and racetrack information, photos and ongoing announcements of special race week activities. Ticket prices range from $33 for a Friday General Admission ticket to $147 for a three-day ticket that includes Sat./Sun. reserved seating in grandstand upper levels. 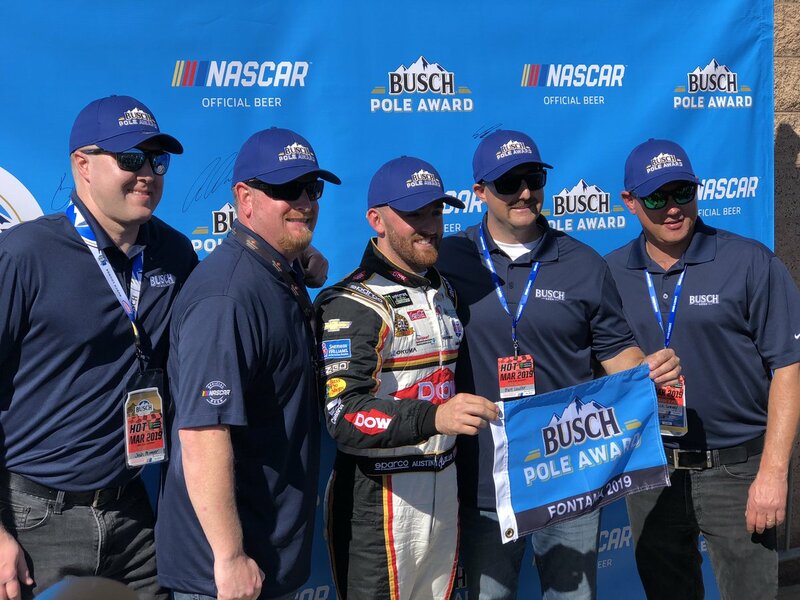 Pre-paid parking packages are also available, along with handicapped seating, NTT IndyCar Series Paddock passes, Super Photo tickets and a wide variety of hospitality packages. Fans can also follow the Acura Grand Prix of Long Beach on Facebook (GrandPrixLB), Twitter @GPLongBeach (#AGPLB) and Instagram @GPLongBeach. 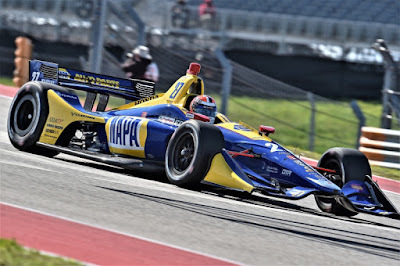 If 11 hours and more than 8,000 miles of on-track testing over two days showed anything, it's that the NTT IndyCar Series fits in marvelously at the sparkling Circuit of The Americas and the competition will be deep and intense in the 2019 season. 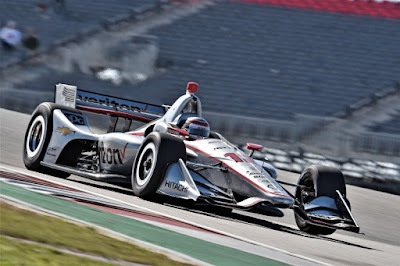 Twenty-five drivers completed 2,367 laps at INDYCAR Spring Training, the only officially mandated testing prior to the NTT IndyCar Series season opener, the Firestone Grand Prix of St. Petersburg on March 10. Rookie driver Colton Herta surprised many by turning the fastest lap on the 3.41-mile permanent road course and topping the timesheet in three of the four sessions in the No. 88 Harding Steinbrenner Racing Honda. Savvy veterans were close on Herta's heels, however, with Alexander Rossi, who led Wednesday's final session, Ryan Hunter-Reay, Will Power and Simon Pagenaud rounding out the top five on the combined-session speed chart. It left drivers and fans alike itching for the season to begin and the return next month for the INDYCAR Classic on March 24, the first Indy car race hosted by COTA. 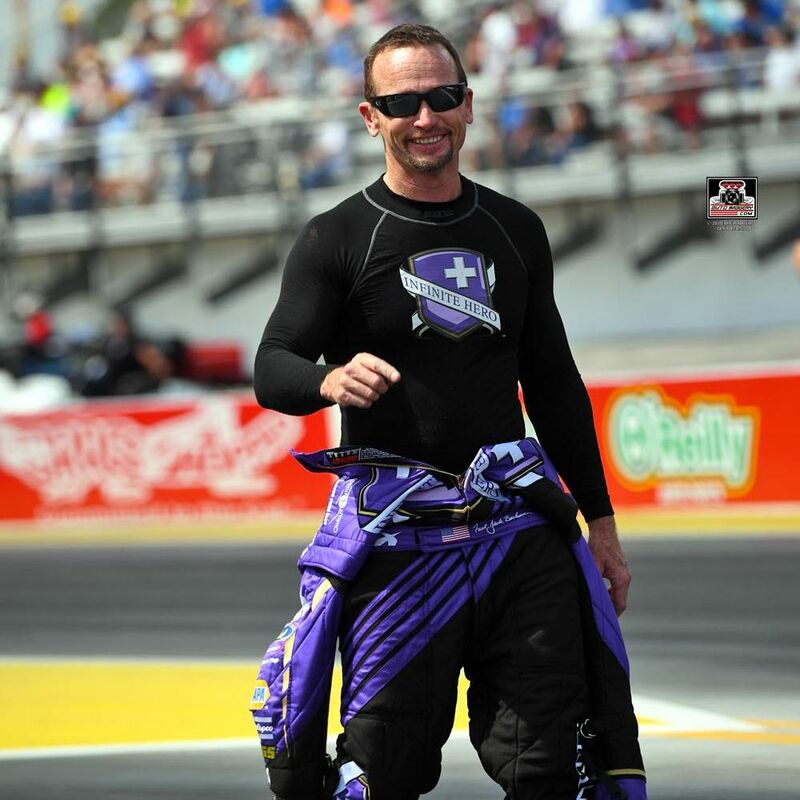 "The track is phenomenal," said Power, the 2014 series champion and reigning Indianapolis 500 winner driving the No. 12 Verizon Team Penske Chevrolet. "I love it, love it, love it! Very technical, obviously a lot of complexes. ... Great facilities, all the drivers are stoked to be here." 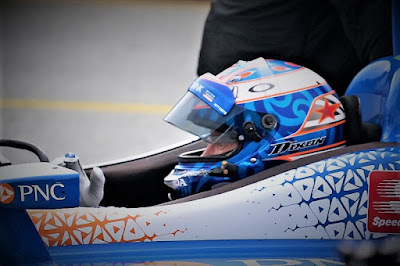 Herta, the 2018 Indy Lights presented by Cooper Tires runner-up who made his NTT IndyCar Series debut for Harding Steinbrenner Racing in last year's season finale at Sonoma Raceway, set the overall best lap of 1 minute, 46.6258 seconds (115.132 mph) in Tuesday's afternoon session. The 18-year-old Californian backed it up by leading Wednesday's practices and running second to Rossi in the afternoon session. "This track just suits my driving style a lot," Herta said. "The team has been working really hard to get the car where it needs to be. Obviously, they've made really big gains in the winter time compared to last year, and we're kind of seeing that. Really stout job by the boys." "Every year it just gets better and better, which is a testament obviously to the series and the value that drivers are placing on it," said Rossi, the 2016 Indy 500 winner and 2018 NTT IndyCar Series championship runner-up. "We've seen guys come over from Europe, which is a super positive thing. I would completely agree that 2019 will be the most competitive season that I've been a part of. "If you look at the top 15, top 20, in reality there are a lot of really good guys. 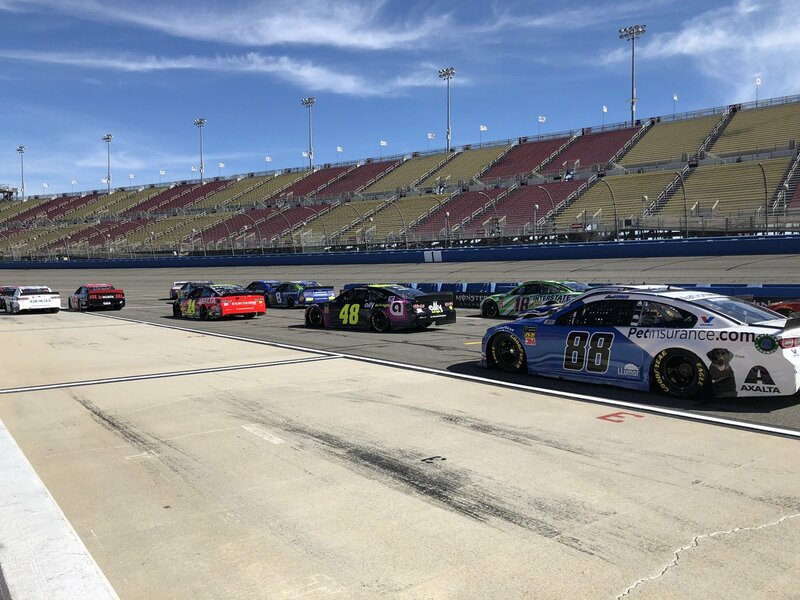 That's pretty much unlike any other series when you look at it, and I fully expect there to be 10 to 12 guys every single weekend to beat in the race." 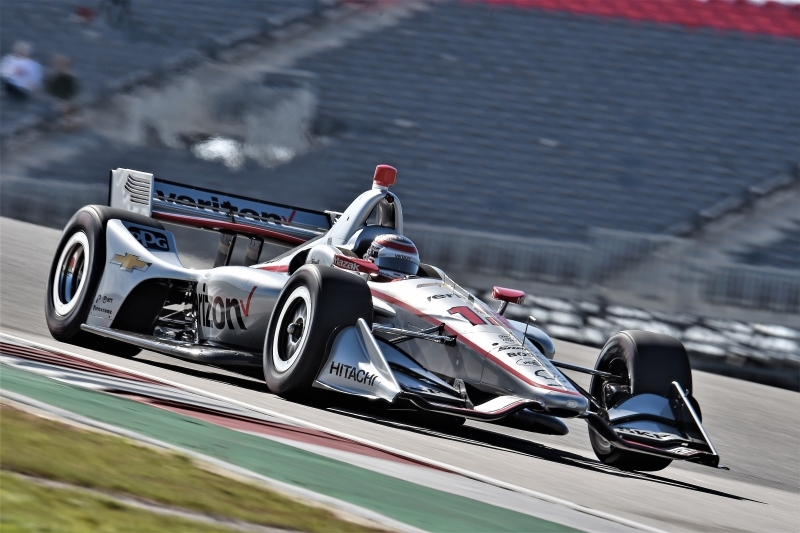 The 2019 NTT IndyCar Series calendar features 17 races, all airing live on NBC or NBCSN and the Advance Auto Parts INDYCAR Radio Network. 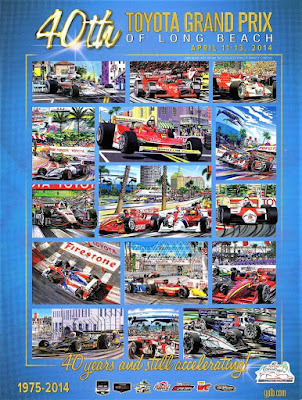 Opening with the Firestone Grand Prix of St. Petersburg on March 10 (1 p.m. 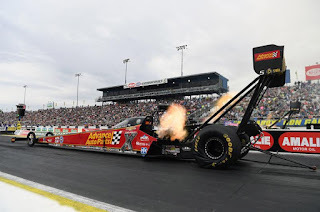 ET, NBCSN) and followed by the INDYCAR Classic at COTA on March 24 (1 p.m., NBCSN), the schedule is highlighted by the 103rd Indianapolis 500 on May 26 (11 a.m., NBC) and closes with the Firestone Grand Prix of Monterey from WeatherTech Raceway Laguna Seca (2:30 p.m., NBC). 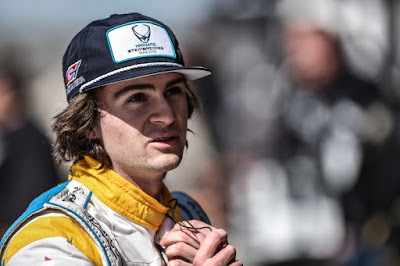 COLTON HERTA (No. 88 Harding Steinbrenner Racing Honda): "Another good day of testing at COTA. We were quickest this morning and P2 by a tenth (of a second) this afternoon. And there's still more to find. We are still working on getting the balance as it gets colder. When it was warmer, we were really good, so I think we'll be fine for the race as it should be warmer. Overall the team had a great test. I'm really happy with how everyone is working so hard and putting in so much effort to get everything done. I can't wait for next month when this No. 88 Honda-powered car hits the Streets of St. Pete." RYAN HUNTER-REAY (No. 28 DHL Honda): "We made good strides today. Generally, the whole day we just kept chipping away at it, moving in the right direction. In the end, it went red (red flag condition] during our sticker tire run so we had to finish the day off on used Firestone tires and we did our fastest lap of the day. I think it's a good point to come back with - we're quick on used rubber. Hopefully, we can turn that into a good race weekend here in late March." 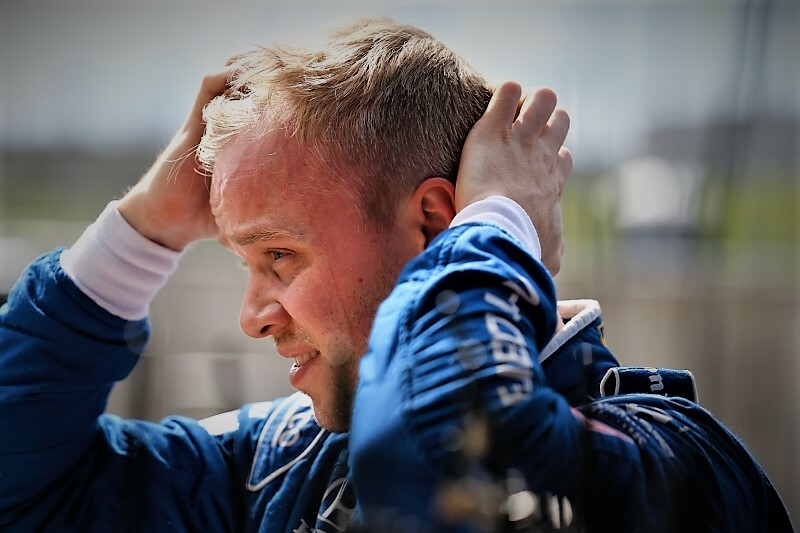 FELIX ROSENQVIST (No. 10 NTT DATA Chip Ganassi Racing Honda): "It's been positive. 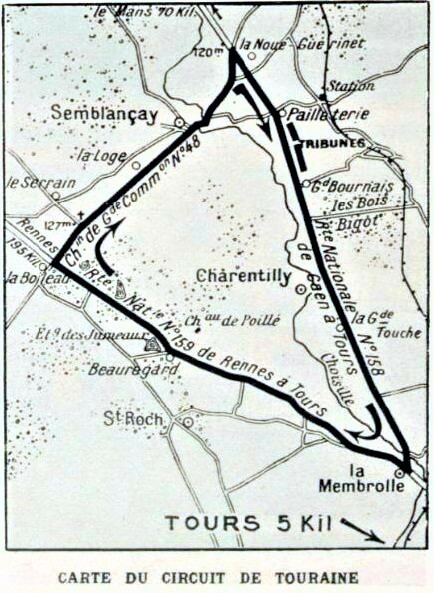 Yesterday we had a big gap to the front guys, so I had to do a bit of homework last night. My NTT DATA car has seemed to be quick in every session this year. I think we can really fight in the top five, but there are still things we have to learn and work on. For me, I kind of learn every time I'm out. But after two days here, it feels like we're done and it's time to move on to Sebring." GRAHAM RAHAL (No. 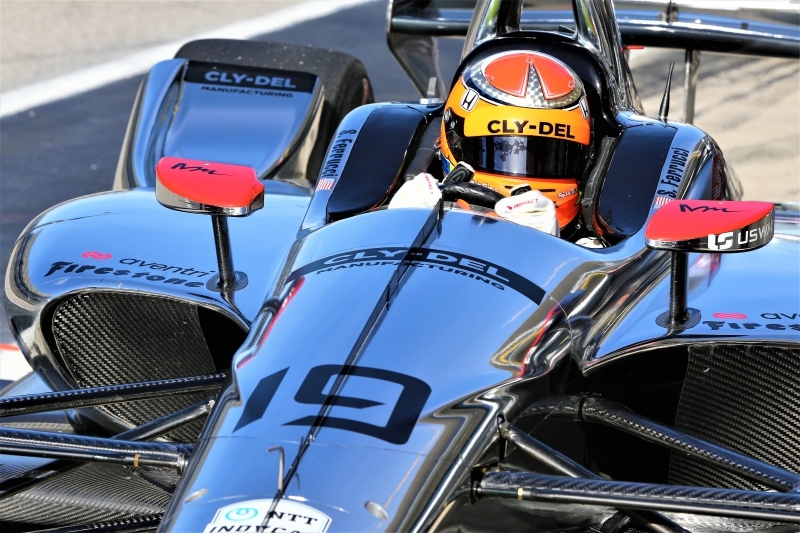 15 Rahal Letterman Lanigan Racing Honda): "Two great days of testing here at COTA. We ended up fifth and there is a lot for us to be happy about. We found a lot over the past two days. Starting where we did yesterday morning, for us to be fifth is a great accomplishment. I think we learned a lot. When we go back to Laguna Seca, when we go to a lot of other tracks there is a lot that we can take from here. I'm really proud of my guys. They really worked hard. 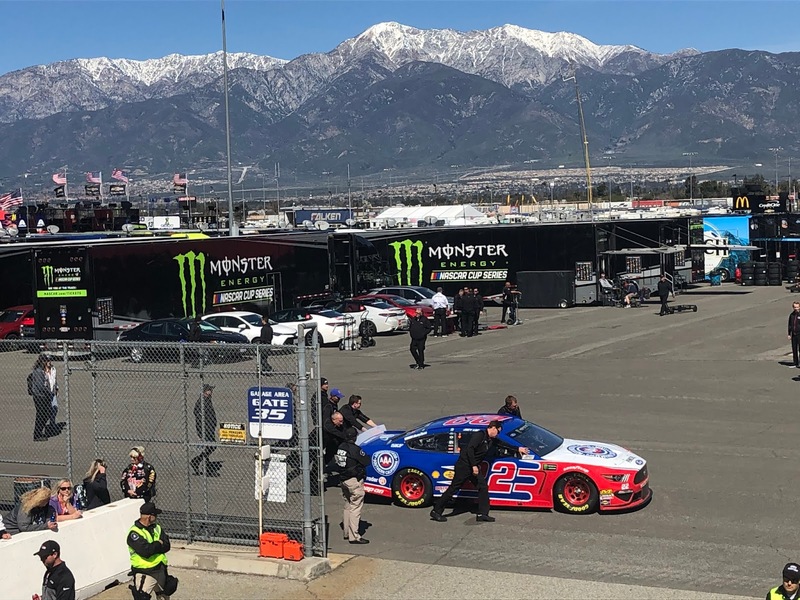 This United Rentals car looks awesome. I'm really happy with how things went and looking forward to coming back." SCOTT DIXON (No. 9 PNC Bank Chip Ganassi Racing Honda): "We had a big break before the last 45 minutes (of the afternoon test session). We tried a few different things, but I don't feel like we really got - it kind of just feels really disconnected for me in some portions of the track, quite good in others. I don't think I did a really good job in piecing together a lap either. It seems like there is something wrong with the suspensions too. That is what we were kind of chasing before. The steering wheel is kinked to the left and then also when it brakes, it brakes funny. We're trying to figure that as well." JAMES HINCHCLIFFE (No. 5 Arrow Schmidt Peterson Motorsports Honda): "Another productive day. Obviously, we closed the gap to the guys in front, and it's even closer than it looks on the timesheets because we kind of got hosed by that red flag at the end on our last set of tires when everyone was getting quicker and quicker. I'm really happy with the progress that we made, the direction that we found, and we'll keep chipping away at it. 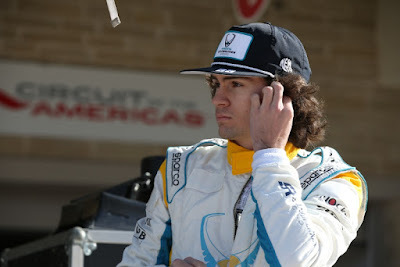 Hopefully, by qualifying day here on the race weekend, the Arrow Electronics cars will be right up there." American Santino Ferrucci pulls into his pit stall during the Open Test at Circuit of The Americas (P10). Ferrucci drove in four races with Dale Coyne Racing last year and this will be his first full rookie year. SANTINO FERRUCCI (No. 19 Dale Coyne Racing Honda): "It was another really good day for us at Circuit of The Americas. A lot of learning to be done. In the morning session, realistically we were P4, but a red flag came out right before we crossed the line. Luckily, we have the lap on data but it didn't show on the time sheets. At the end of the last session, right when we thought we were kind of getting lost a little, we went back in the right direction. It feels good to end up P9 and to have a good lap time to end the test before heading into the race weekend next month. It was a great job by all the guys, it was a busy two days and we're looking forward to the season opener in St. Petersburg." TONY KANAAN (No. 14 ABC Supply AJ Foyt Racing Chevrolet): "We had a productive day today. We made big changes and we tried to separate the changes between the cars so at least we are learning as a team now. Matheus (Leist) is helping quite a bit, so a happy day for us. We came here trying to learn what we did over the winter on the shaker and on the simulator and things were pretty close, so we'll take it from here and try to improve it until the first race. This is our first test and we have three more before St. Pete, so I'm excited." MATHEUS "MATT" LEIST (No. 4 ABC Supply AJ Foyt Racing Chevrolet): "We just finished here for the second day at COTA. We had a lot of fun at this beautiful track. A lot of progress made with the team. I think we still need to keep working hard, still need to figure out new stuff, but I'm pretty happy with these two days of testing here. I think we made some good progress compared to last year and now we're looking forward to the next test and also to the first race of the year." 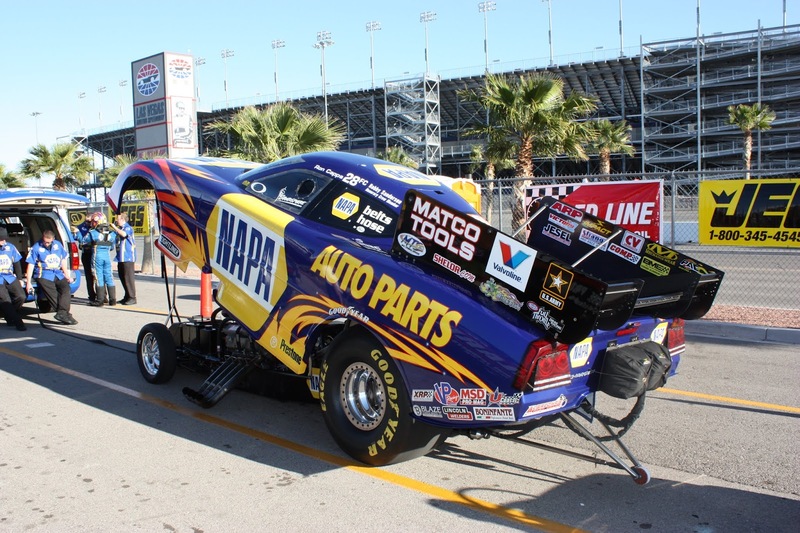 Test sessions are scheduled for 11 a.m.-1 p.m. and 2 p.m.-6 p.m. ET Wednesday. Live timing and scoring is available at RaceControl.IndyCar.com. A quick look into the digital window of the web netted the searcher this gem from pinterest showing a third Bugatti Type 32 of #11 Pierre de Vizcaya. Almost more interesting than the shape itself were the front brakes. They featured a hydraulic assist, which was pretty much a first in the world of motorsport. The only problem was, there was no brake pedal. Drivers had to use a lever in an already-cramped cockpit. The race, though, was fruitless. Bugatti hadn’t done much with the engine, and using an outdated model in competition against the supercharged Fiats was never going to work. It was only through the retirement of all three of their entries and a last lap spin by the driver of the third place Sunbeam that the last remaining Bugatti on the circuit - #6 Ernest Friderich - was able to steal a [P3] podium position. 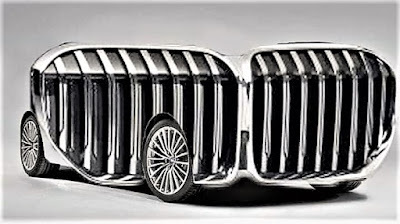 Ever wonder what makes an artist a great automotive designer? It comes down to the discipline one achieves through years of training, experiment, understanding materials, the balance of form & function, the creation of trash bin failures to grand acceptance and market success. 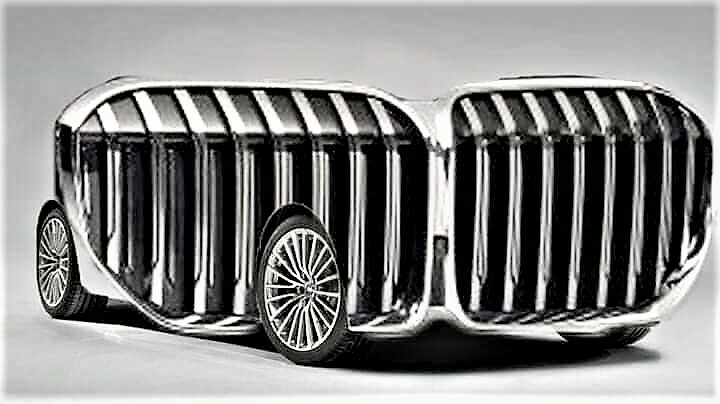 Just ask Art Center College of Design standout graduate, Frank Stephenson, who actually designed for, and penned the rebirth of the MINI Cooper and the first SUV platform produced by the famed German automobile manufacturer, the X5. Frank Stephenson said in a 2017 interview published at The Drive "I'm flat-out not fond of modern-day cars," he told R&T. 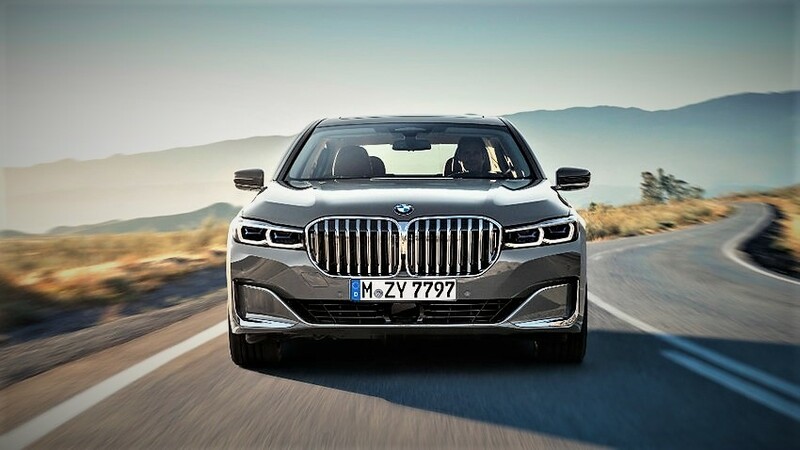 "They're going to where ugly cars are the new beautiful. Everybody loves the '50s and '60s in terms of what those cars were like. And we've kind of lost that romance of the design from that period, where the goal was to design a beautiful car, and people would love it at first sight. Nobody had to 'get used to' the design." ... 'nuff said. So, it's "GET USED TO IT!" Photo Journalist holding Credentials from MPG, PAPA & AARWBA, | Memberships (past & present): IKF, WKA, CIK, SKUSA, SEMA, PAPA, SAE | Licenses (past & present) IMSA, NASA, SCCA-PRO, FIA, NASCAR, EMRA, ASRA | Secretary: Kart Industry Council (KIC) | CEO: American Indoor Kart Racing Series | COO: Amateur Karting Association | Entrant / Driver: Pirelli World Challenge Racing Series. Member: LinkedIn. (Apologies for typos and errors in grammar, I was not an English major in school).